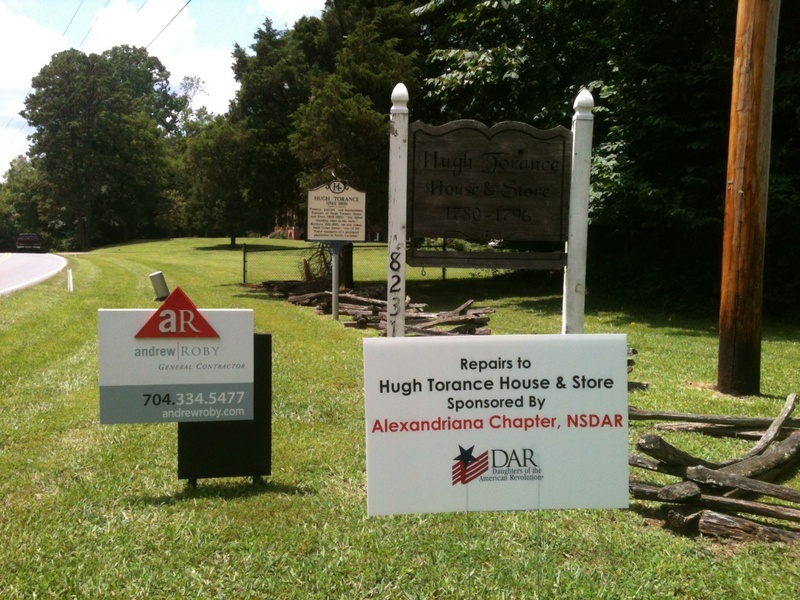 The Board of Directors of the Hugh Torance House & Store on Gilead Road in Huntersville are proud to announce completion of repairs funded by a Special Projects Grant from the National Society, Daughters of the American Revolution. This grant was sponsored by the local Alexandriana Chapter of the NSDAR. 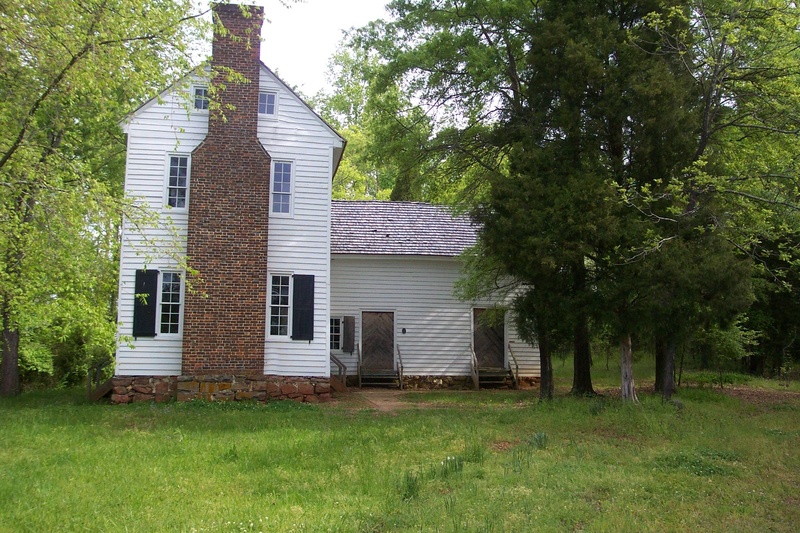 The Hugh Torance House & Store is one of the few remaining 18th century structures in Mecklenburg County and is the oldest standing store in North Carolina. The structure was built by Hugh Torance, a Revolutionary War veteran and dates to the 1770’s. Hugh Torance (1743-1816) immigrated to the American colonies from Ireland in 1763 and came to Mecklenburg County in the 1770’s. He became a very successful merchant and planter. Hugh’s son, James Torance, opened a store in the original log portion of the house in 1805. The “Torance Store” was an integral part of Mecklenburg County backcountry society. 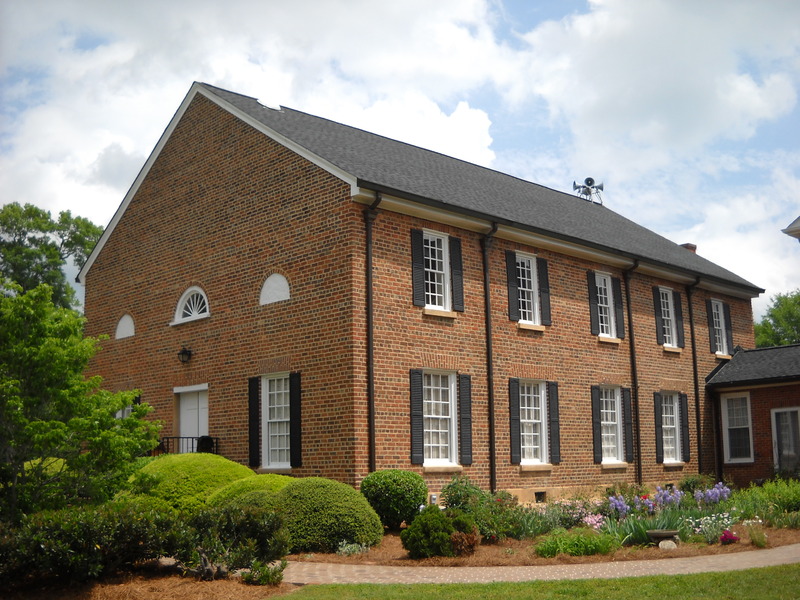 It is located at 8231 Gilead Road in Huntersville. The Hugh Torance House & Store was salvaged and restored in the 1980’s by a group of historic-minded local citizens. Today it is a small non-profit 501(c)3 organization run entirely by volunteers. It is open to the public and serves as an educational field trip for school tours, scouts, senior groups and historical and genealogical associations. As a result of a recent inspection by Andrew Roby General Contractors, it was discovered that structural support repairs (due to failure of the main support beam and piers) were needed along with chimney flashing, floor repairs and electrical wiring repairs. Thanks to the DAR Special Projects Grant, Andrew Roby General Contractors has now completed all of this work and went above and beyond their scope of service to provide historically sensitive repairs that will keep this important historic landmark open to the public far into the future. Bill Russell, Chairman of the Board said the Board is extremely grateful to Andrew Roby General Contractors for their excellent work and to the Alexandriana Chapter of the National Society, Daughters of the American Revolution, for their financial support for this project. 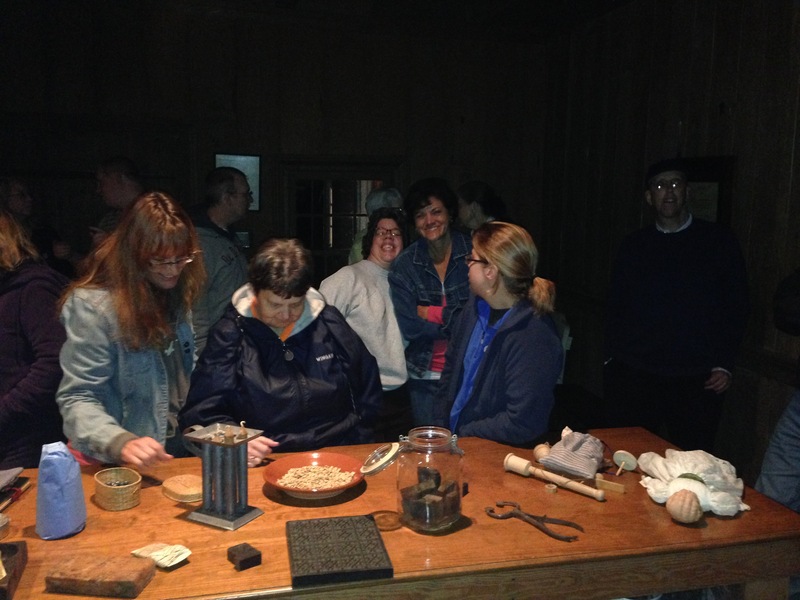 “I recently had the opportunity to lead a tour of special needs adults through the home, after the repair work was completed, and they were awestruck by their return to a simpler colonial time in our history. 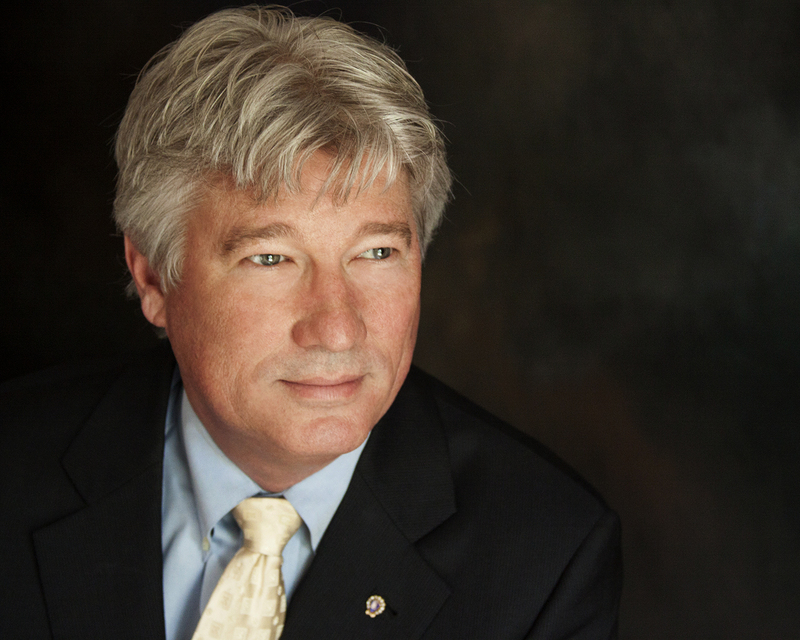 We simply could not have had the house ready without the support of the DAR and the Town of Huntersville who continue their strong support of our history and cultural heritage,” said Russell. For more information about the store, visit the website at www.hughtorancehouseandstore.com. Group Tours are available by calling Bill Russell at the Lake Norman Chamber of Commerce at 704-892-1922. During the last and prolonged illness of Rev. John Harris, Bethesda Presbyterian Church was supplied by Rev. Joseph H. Martin. For twelve years he had been a pastor in Knoxville, Tennessee but because of his ardent support and sympathy for the Confederate Cause, he and his family were forced by the Federal authorities to leave Knoxville. Leaving Knoxville, he and his family were permitted to take with them only such things as could be packed in a simple trunk. For three years of his stay at Bethesda, he and his family occupied one of the wooden tents used by attendants on the camp meetings. He was comfortably supplied with the necessities of life by the spontaneous offerings of the congregation. In 1867, he removed to Virginia. A few months later the services as stated supplied of Rev. Robert B. Anderson, then living in York (SC), president of the Yorkville Female College, were secured. He would have been called to the pastorate of the church, except for the fact that he let it be known very clearly that he would not accept such a call. Perhaps no pastor who ever served Bethesda Church ever left a deeper impress on the congregation and the community than did Dr. John Lowry Wilson. He served the congregation as pastor for 16 years, and many of the Bethesda people living today carry their first knowledge of pastor of this church back to Mr., Wilson. Mr. Wilson was born in northern India of missionary parents. At the age of 5 years, he with four brothers were brought by their mother to America to be educated. The journey on a sailing vessel required seven months. At the outbreak of the Civil war, young Wilson, then a student in Tennessee, enlisted and served the Confederate Cause with distinction, only quitting after he had received four wounds in battle and the loss of a limb that incapacitated him from further service. In 1866 he entered Columbia Seminary and in 1869 was installed as pastor of Bethesda, just 100 years after the church was organized. He was the sixth pastor of the church and the first in its second century. As difficult as was the period of Bethesda Church following the Revolutionary war, the pastorate of Rev. John Lowry Wilson probably covered the darkest and most trying period of Bethesda’s long and honorable history. The War Between the States had hardly closed. Many of Bethesda’s sons had given up their lives in that struggle; many fell on the battlefields while others died of diseases contracted in camps or federal prisons; not a few came back mimed and crippled by disease and wounds. They came back to desolated homes and people impoverished by the fortunes of war. A dark period was just ahead – a period almost as dark as war. The state government was in the hands of scalawags and carpetbaggers, with uneducated Negroes, with a new freedom, running rampant; martial law had been proclaimed, dangerously armed militant bands were prowling about and terrorizing the community – all was chaos. Many substantial people, thoroughly discouraged, moved to more favored sections of the country. But despite these discouraging features under the pastoral leadership of Rev. Wilson, Bethesda Church continued to grow in numbers and spiritual power, and maintained her relative position and influence among the churches of York County. Rev. Benjamin Palmer Reid — 1887 to 1893. Deceased. Rev. James K. Hall — 1894 to 1909, Resides at Belmont, N.C.
Rev. James K. Harrell — 19l0 to19l2. Deceased. Rev. John A. McMurray – 1912 to 1916. Now pastor at Ocala, Fla.
Rev. Frank H. Wardlaw – 1917 to 1924. Now pastor at Harrisonburg, Va.
Rev. P. W. Wilson, stated supply — 1924-1925. Now pastor in Virginia. Rev. John Knox Johnston, stated supply. Service when the armistice was signed and he was honorably discharged. “Bethesda” is a section of York County about 16 miles square, eight miles southeast of the county seat. The original population were chiefly immigrants from the North of Ireland, mostly Presbyterians, a few Roman Catholics- Some came from Pennsylvania and some from Native Ireland. Many of our senior members have heard this origination for some time. But today, I want to dwelve a little different. I went to the library and began to research the time period our early ancestors migrated to York County. While it is difficult to pinpoint the exact time the Scotch-Irish began moving in, we do know that they began to settle here as early as 1735. The years 1753-1763 were the greatest years of migration. There were two substantial events which caused the settling of the Piedmont. Both dealt with our existing Native American Indian Tribe the Cherokees. On February 12, 1747 Governor Glen of South Carolina met with the Cherokee Spokesman “who was known to the locals as “Little Carpenter”. He relinquished a vast area of land which at that time had been under the control of the Cherokee Nation. All land South and East of Long Cane Creek which is now Abbeville County and running a line Northward and Northeastward was given in treaty to the “Great Chief in England”. Most historians agree that this incorporates the greater Piedmont belt including York County. The second event took place in 1775 when Braddock was defeated by the French & Indians in Pennsylvania. Even though this event took place some 500 miles north of present day Bethesda, it had a decisive bearing on York County and this area in particular. Braddock’s defeat left the western front of the Northern Colonies exposed to constant Indian raids. To escape these hostilities, many Pennsylvanians and Virginians moved Southward to a more pleasant climate and genteel Indians. While the Cherokee Nation was harshly mistreated and abused by the future Government of the United States, they were extremely good neighbors of the early York County settlers. By the mid 1750’s, the fertile valleys and creeks around Bullocks and Fishing Creek were doted with Log Cabins and was yielding to the iron plows of planters. In a confederation of family and religious ties, these early settlers found peace in the land around Bethesda. Our church is one of the Four B’s (or Bees as in King George’s Bonnet) of the Bethel Presbytery. The others being Bethel, Bullocks Creek, and Beersheba. Two conflicting dates have been given for the organization of Bullock’s Creek- 1765 and 1769. For many years there has been a friendly feud between the two churches of Bethesda and Bullocks Creek as to which is older. Some church record place the founding of Bethesda in 1769, five years later than Bethel and along the same year as Ebenezer and perhaps the later date of Bullocks Creek. That would also correspond to the 227 years we are celebrating today. However, it has been documented that there had been preaching in the Bethesda community long before 1769. It has been recorded that a church building, a log structure, was reared in 1760. It was plain but substantial. This was about one mile east of the present structure, and close by was the graveyard where the dead were buried. Three of these headstones from the old cemetery were removed and placed here at our cemetery in 1979. They include William Neely, Mary Neely, and Elizabeth Neely. Going back to the feud with Bullocks Creek, who claims to be the oldest. S.M. Tanney a renown Curator for Montreat College notes that The History of Scotch-Irish Settlements written by Hanna records on page 116 of Volume 2 Bethesda of York District was organized in 1760 and Bethel four years later in 1764. Since Hanna is considered the authority by research students, the data here, according to Tanney, should be deemed dependable. That makes Bethesda older than Bullock’s Creek and just to ensure their were no doubters, we held our Bicentennial Celebration, honoring 200 years of Bethesda Worship in 1960. From the best records available, it is thought that the first preacher may have been Rev. William Richardson, an Englishman who studied under Rev. Samuel Davis who later became President of Princeton University. Among the early ministers was also Rev. Dr. James Alexander of Bullocks Creek. Alexander is noted for his role as a Revolutionary War Patriot. A preeminent educator, he also had some very famous students including Gov. Johnson of S.C. and Andrew Jackson, President of the United States. One cannot talk about the history of the Church without mention of the Battle of Brattonsville. The Church and its people are intertwined. A party of Whigs under the command of Col. Bratton, Major Winn, and Captain McClure defeated the English under the command of Huck. Huck’s Calvary made up of Royal Militia and Tories numbered 400. Huck tried to induce Col. Bratton to join his force. 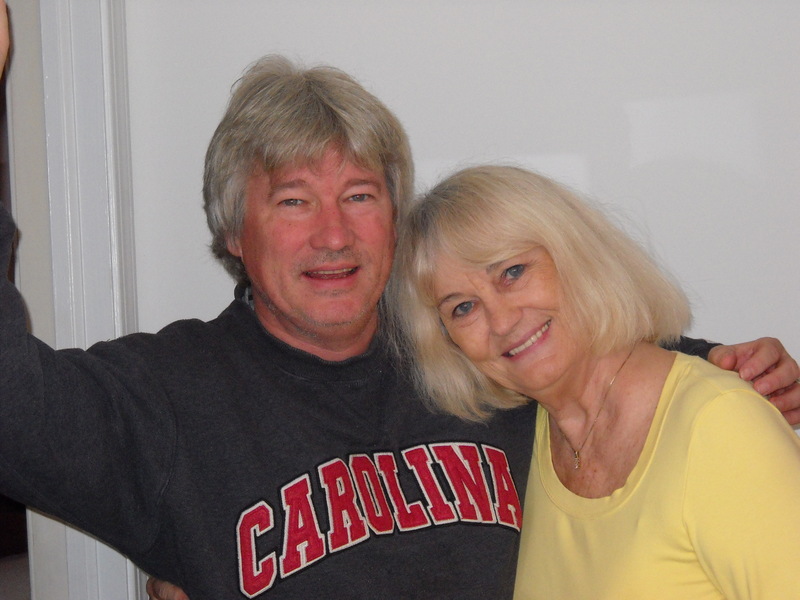 He wanted Mrs. Bratton to convince her husband, but she stood by her husband the cause of freedom. At the Battle of Williamson’s Plantation, Huck was killed and his army routed. Bethesda Cemetery is now the resting place of 37 Revolutionary War Veterans. Perhaps Bethesda is best known for the Great Revivals and Camp Meeting of the early 1800’s. Around the turn of the Century, Rev. R. B. Walker, pastor of Bethesda heard of the great religious awakening in Kentucky and Tennessee. It came from travelers who stopped by speaking to this energetic preacher. He saddled his horse named “Old Dobbler” and made the journey up to Kentucky where he stayed for some time. Shortly after returning to Bethesda, he instituted camp meetings here. Neighboring ministers participated, and people traveled from as far as 40 miles to attend. It is said that “the people were moved as the trees of the woods are moved by the wind.” The record says that the first camp meeting is known in church history as “The old revival” and resulted in the conversion of 300 souls. The next revival in 1817 saw 200 more souls added to the Lord. In 1859, a large arbor was built on the church grounds to accommodate 2,000 people. This large tent had no sides and could accommodate the large crowds. In 1861, the War Between the States, impacted Bethesda and called many of her sons to war to fight for states rights and to keep northern invaders from southern lands. In 1864, the last camp meeting was held. Bethesda contributed heavily to the Southern Cause. Again our cemetery is filled with young men who fought for Southern Independence and many never returned to be properly buried. There are 81 Confederate soldiers interned at Bethesda among them Dr. Bratton, a confederate surgeon. Bethesda’s history is filled with a moral and ethical code which would seem strange today. One member was charged with fishing on Sunday. Another had to fight off a drunk in Yorkville and apologized to the Session for his action. Among the worst offenses were when Church elders investigated homes where dancing was reported. Incidentally, according to the Yorkville Enquirer of the time- well to do people were expected to own their own stills and everyone was expected to drink a toddy more or less frequently, and neither preachers, elders, deacons, stewards, or vestrymen refrained from the sprits when social occasions deemed necessary. I could go on and on with the wonderful history of this church. For those really interested, Roy Glover and Bobby Walker put together a great cemetery directory in 1994 and Miss Rebecca Williamson and Hattie Lee Petty have tirelessly kept our history alive along with the recollections of Mrs. Bratton. 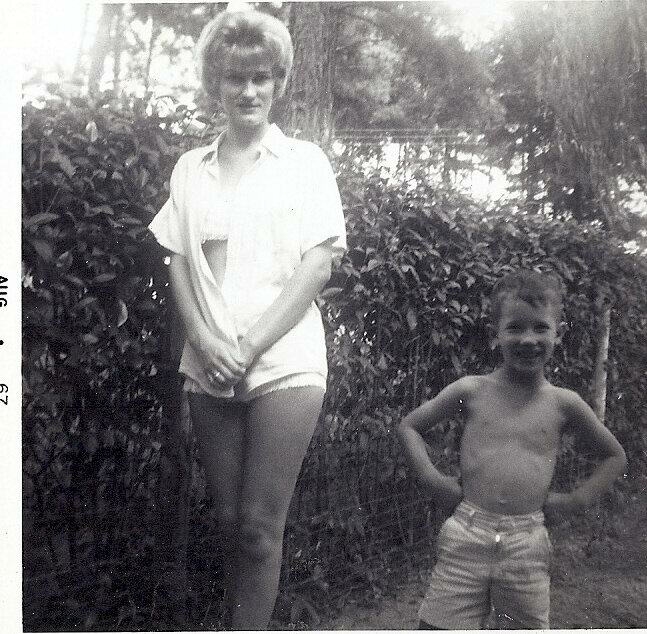 My family roots the Adkins, Boggs, Browns, and Russell’s hail from Beersheba, Bullocks Creek, and Bethesda. The Boggs dating back to King George and the settling of Bethesda. The Lord provided for our early families, and here they made their home, built their church, and raised their families. Some of us have moved away and come home again. Sons and daughters enjoying the fruits and labors of their parents. We enjoy the lands we did not plant and the Church we did not build. But we have a responsibility and a privilege to educate the next generation, to pass on the virtues and ideals we cherish, as did the family members who came before us. So Joshua let the people depart, each to his own inheritance.